We are a leading Manufacturer of air expandable shaft, air shaft, air expanding shaft, air expanding shafts, leaf type air expandable shaft and multi bladder shaft from Ahmedabad, India. Expanding length Max. 5 to 6 Mtr. Outer Diameter up to 12"
We are manufacture, supplies and exporter a wide range of Air Expandable Shaft. Excellent performance is delivered even with a heavy load and higher speed. Above price may vary as per customer requirement related to OD/ID and the length. Size Core I.D. dia 3", 4", 6", 8"
This is a Sophisticated Winding Air Shaft for slitter re-winder machine, used as duplex shaft winder (center winding type). 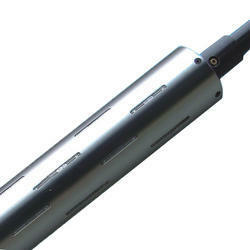 We are manufacture and supplies a wide range of Air Expanding shafts. Core holding is initiated mechanically and not pneumatically in this lug type shaft. Excellent performance is delivered even for heavy load and higher speed. Positive gripping and core centering are achieved with the help of cam/lug design. Easy handling of cores with uneven inside diameter. 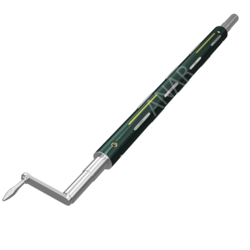 Key and alien cap bolt prevent any shearing of journals pipe assembly. Above price may vary as per customer requirement related to OD/ID and length etc. 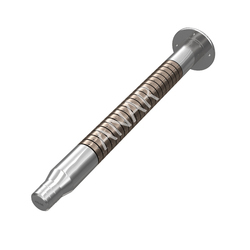 Our company is one of the leading in the manufacture of high quality Leaf Type Air Expandable Shaft. Overall Length up to 6 Mtr. Expanding length up to 5 Mtr. 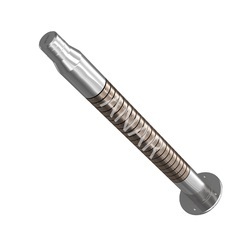 Outer Diameter up to 12 "
We are Manufacturer & Supplier of Multi Bladder Shaft. We provide all these quality Multi Bladder Shafts to our clients at the most competitive price. Avail from us a wide variety of Differential Air Shaft (Clutch Shaft) that have a huge relevance in various industries. 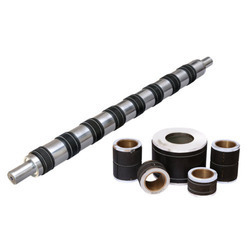 These shafts are used for slitter rewinder machines as duplex shaft winders. We provide these at highly competitive prices and in wide specifications as well. It is capable of compensating speed variation due to gauge variation with multi-cores. 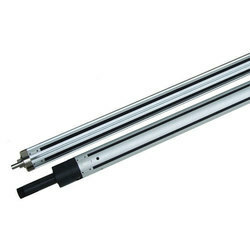 We offer Mechanical Shaft & Bladder Less Shaft. Our company manufactures a vast range of Mechanical Shafts (Bladder less Shaft) to our clients as per their need. These products are available at superior quality material which makes them hare and strong. The size and length of these products may vary. As per their prices is concerned they are available at affordable prices and are highly demanded. Size: Suitable for Core ID. 3” and 6”Length as per requirement. Ideal for heavy load and high speed. Allows cores having uneven inside dia. Offering our best quality Cantilever Shaft ( Air Shaft) which is widely used for Pouching Machines, Doctoring Machines Label Printing Machines. Cantilever Shafts has a durable construction to hold the cores for the positive gripping and its flange mounting styles used for light to medium duty works. These Core Shaft ( Air Expandable Shaft ) are used for winding and unwinding operations in various industries such as plastic, paper & packaging, polyester, film, foil, rolling mills, tyre, textile process etc. Our extensive years of industry experience and profound market understanding, we are manufacturing and supplying a wide range of Differential Shaft. The offered shaft is used in slitter re-winder machines as duplex shaft winders. 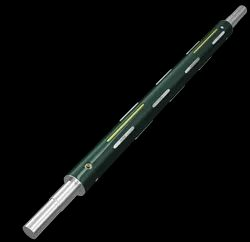 We are one of the reputed manufacturer and supplier wide range of Mechanical Expandable Shaft in India. 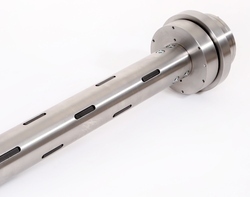 This is a lug type shaft but core holding is initiated mechanically as well as not pneumatically this shaft mainly consists of slotted pipe, steel lugs, brass cam etc. 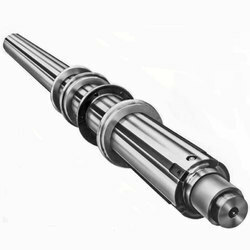 We are the leading manufacturer, supplier and exporter best quality of metalizer machine shaft. This product is use in Flexible Packaging Industry. Above price may vary as per customer requirement related to OD/ID. And length. Expanded area is available almost all over the length of the pipe body. The very small width of the cores is possible to hold. Has a limitation to accommodate gauge and speed variation. 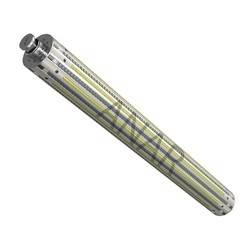 Multi-Tube Air Shaft is very light and allows easy handling. Easy and quick in-house maintenance. We are one of the leading manufacturers of Core Holding Devices. These core holding devices are available in different ranges and prices in the market. Our product range includes: mechanical shaft (bladder less shaft), quick lock shaft, multi-tube shaft, lug type expandable shaft, air chuck, air shaft and many more. Offering our best quality cantilever air shaft which are widely used for Pouching Machines, Doctoring Machines Label Printing Machines.Cantilever Shafts has a durable construction to hold the cores for the positive gripping and its flange mounting styles used for light to medium duty works. Quick Lock is one of the products where maximum advantage of cam is used for concentric holding of the reel. Most ideal for sitting rewind where slippage is usual used for solving web tearing and stretching problem of plastic films Better core contact compared to one point contact. Above price may vary as per customer requirement related to OD/ID. And length . 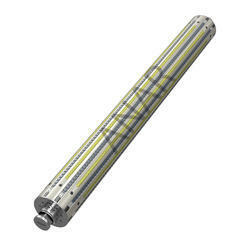 We are very well known for providing vast range of Multi Tube Shaft. They are available at different ranges and prices in the market. The important advantage of these products is that their body is made up of stainless steel which makes them hard and strong. These products have a good tendency to resist against corrosion. The multi- tube shafts find their application in printing and packaging industries. When the bladder of these products gets damaged they can be changed easily. We are one of the leading manufacturer and exporter of Tidland Shaft. This product is used in Flexible Packaging Industry and many more . 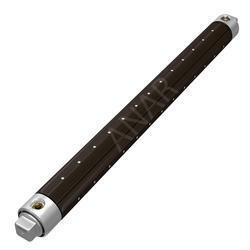 We are one of the leading manufacturer and supplier wide range of Gripper type quick lock. This product is use in Flexible Packaging and many more industries. We offer Core Air Shaft to our clients, these product are produced by hight quality raw materials with latest technologies machines ,which are available at very affordable price .